Hydrangeas are my favorite flower. Now don’t get me wrong, I love peonies and tulips. And roses. But there is something about hydrangea flowers that just make me happy. Arranging hydrangeas is not hard. What I like to do is use different containers to arrange my hydrangea flowers. Often I use containers that aren’t even vases. I think this makes the appearance more interesting and fun to arrange! 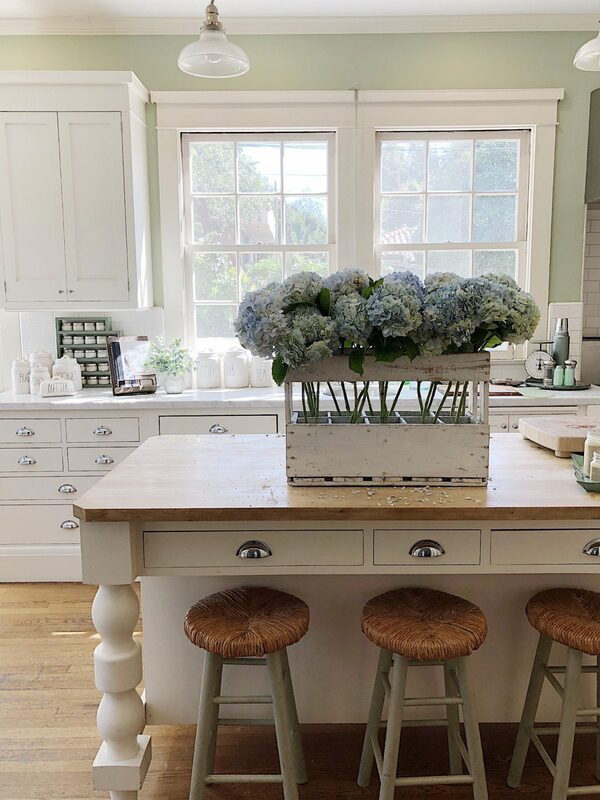 Over this past year, I have featured hydrangeas frequently on my blog and Instagram. 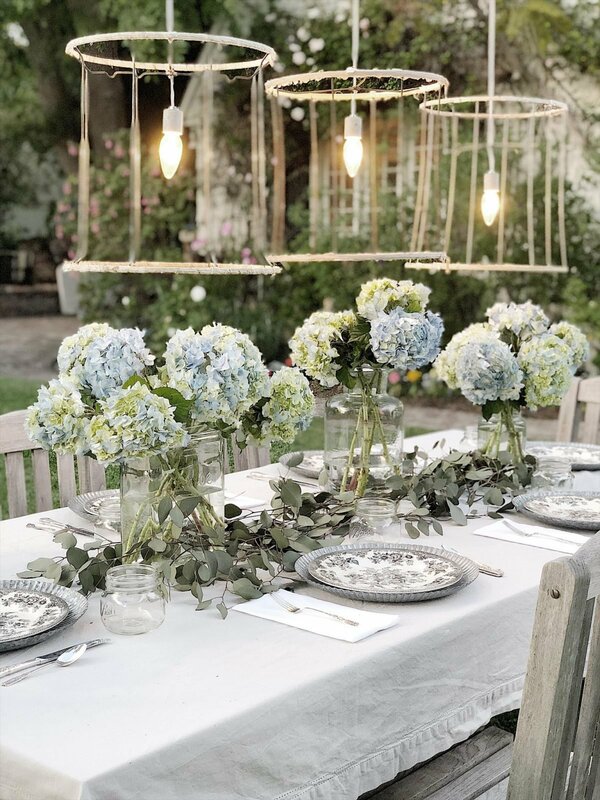 I have used white hydrangeas, blue hydrangeas, green hydrangeas, and more! These are the hydrangea bouquets I arranged for the Engagement Party we hosted last month. That was truly an amazing event and I still can’t believe how wonderful it turned out. 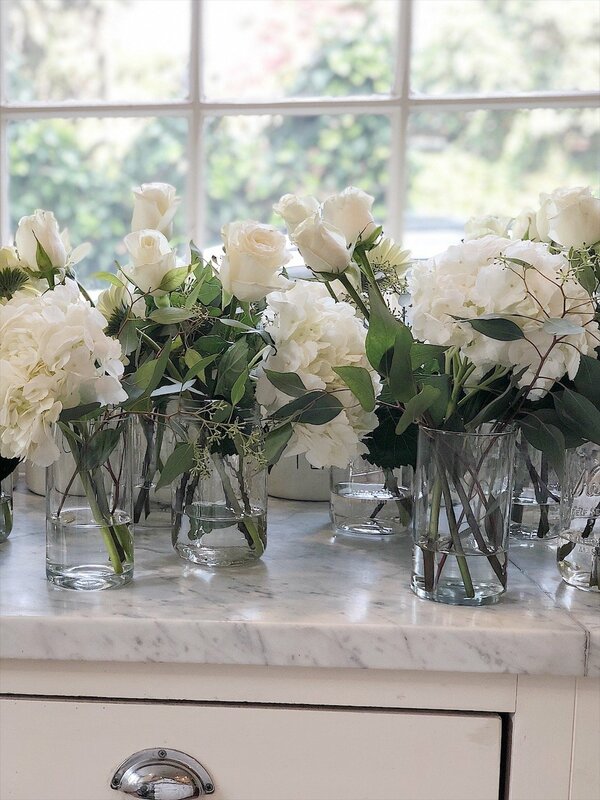 I needed a lot of arrangements for the table (16) so I used some glass vases and ball jars for these arrangements. I also added some other white flowers, in addition to the white hydrangeas, into the arrangements. Here are my blog posts about the Engagement party. I set this table in front of our beach house for an intimate dinner with our family. It was just magical. 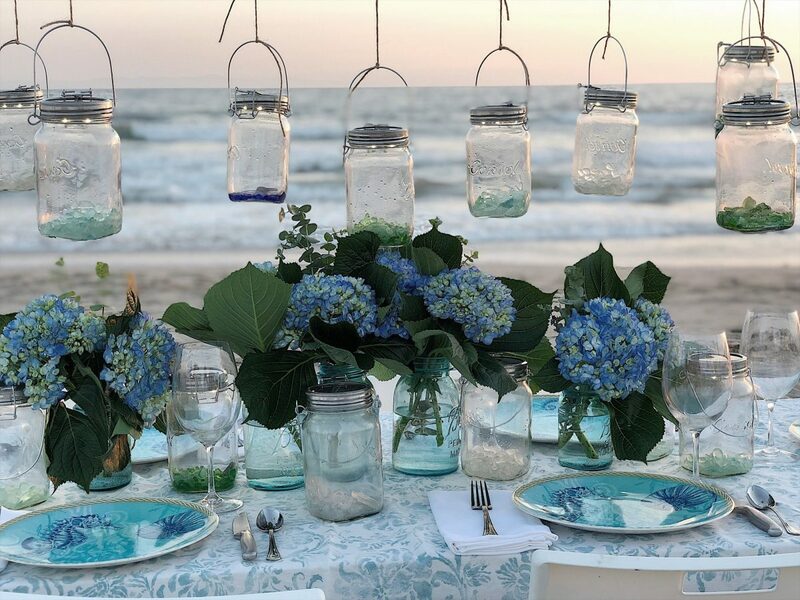 I used darker blue hydrangeas and used vintage blue jars from the flea market as vases. These blue hydrangeas look amazing in our living room. I have a lot of galvanized containers and these are some of my favorites to use with hydrangeas. White hydrangeas are my favorite. Here I added fresh limes in the vase to tie in with the green accents on our back porch. The vase is a vintage battery jar! I own two of these and I am always looking for more. They have gotten very popular recently and unfortunately are quite pricey. If you ever see one for a reasonable price, be sure to buy it! My Mother’s Day table was a dream to create. I made the chandeliers from old vintage lampshades. I wrote a tutorial on how I made these chandeliers on my blog post. These blue and green hydrangeas are amazing. And I used all different vases including a vintage battery jar and two vintage jars from Hungary. 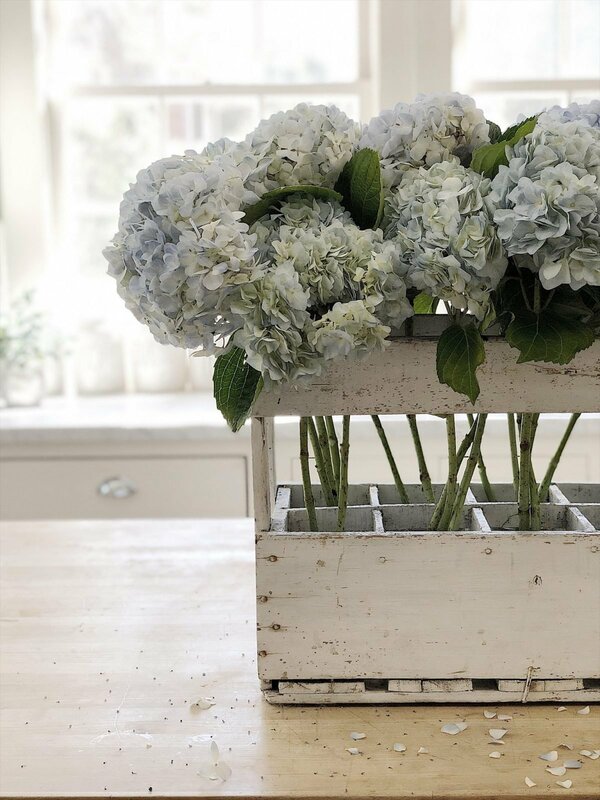 It’s easy to arrange white hydrangeas in a basket. You can even see the galvanized metal vases inside that help support and hold water for the flowers. These rose and green hydrangeas are perfect for the holidays. I am hoping to use a lot of them this holiday season. 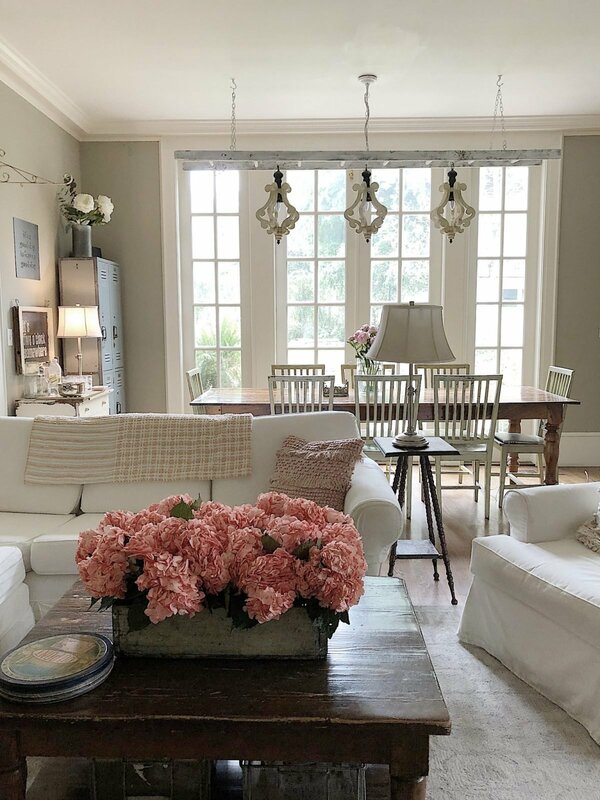 These peach hydrangeas are dyed but I love how they spruced up our family room. I put them in ball jars in an old wooden box. Aren’t they fabulous? This brings me back to the blue hydrangeas I arranged this morning. I found this French Champagne Bottle Crate from my friend Debra Hall at Debra Hall Lifestyle. She has the coolest vintage items for sale. In fact, she was kind enough to invite me to join her to shop in Round Top for a few days last week. I love how it looks with these hydrangeas! I was just unboxing my hydrangeas and saw this crate sitting on my kitchen floor. I knew it would be perfect for this bok of hydrangeas. I love this! As you can see, I put ball jars in the bottom, filled them with water and added the flowers. To keep hydrangeas fresh all I do is cut the bottom off the stems and clean and change the water every other day. By now, you are probably wondering where I buy all of my hydrangeas. 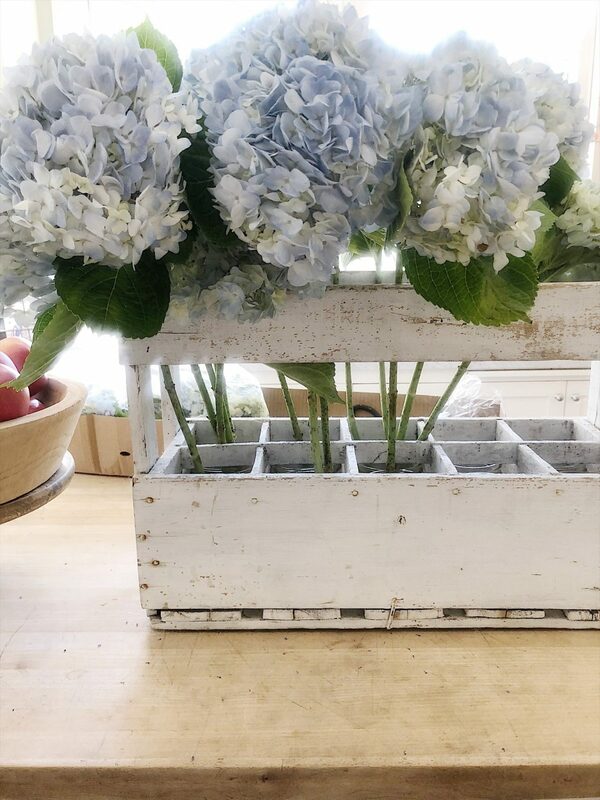 I get all of my hydrangeas from one place and it is Flowers by GallonEI. They are farmers in South America who sell wholesale and ship directly to anyone. And their two day FedEx shipping is free! 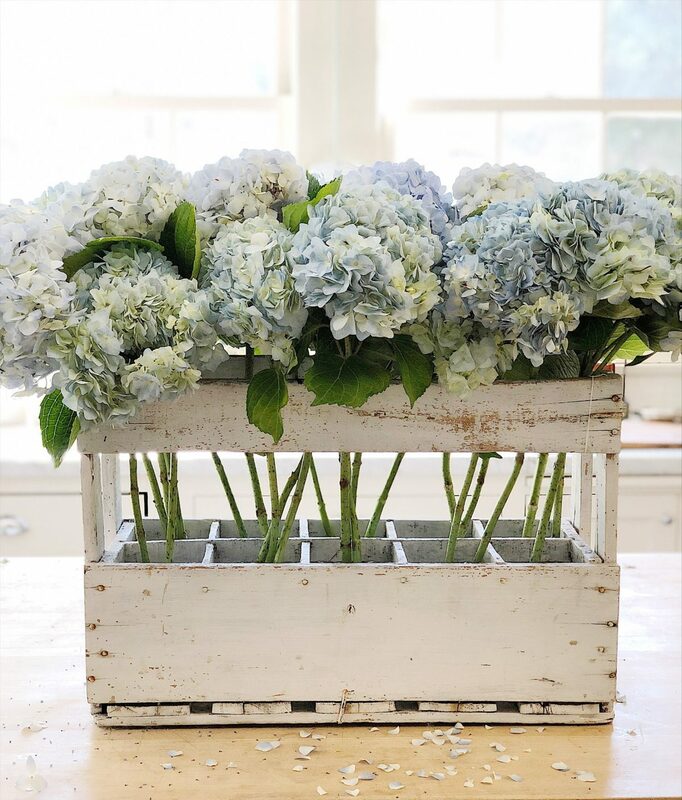 Their prices are better than any most hydrangeas you find at the grocery store and they are so incredibly fresh. You need to visit their website if you want to buy hydrangeas. 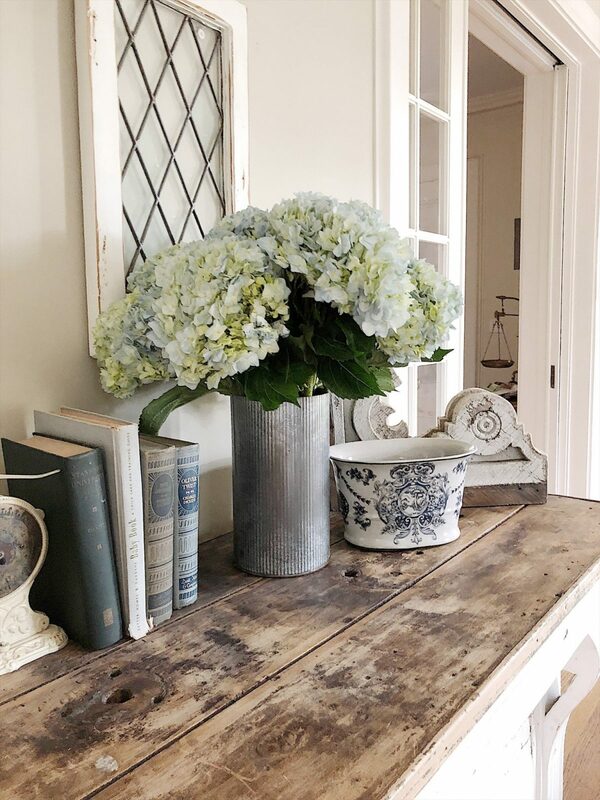 Fresh hydrangeas in our home year-round are the best! You can have them too. Love hydrangeas. Your fresh bouquets always stand out in your postings. But I’m curious if you ever dry some of the flowers and if they retain their colors? Hydrangeas are one of my favorite flowers also. Love the different containers you chose. 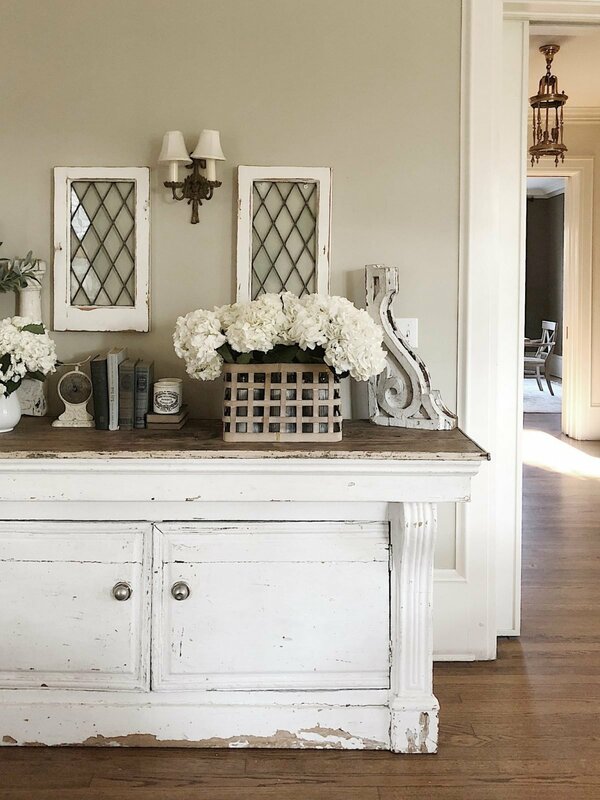 Great ideas and so beautiful! We have an Incrediball hydrangea bush in front of our house. The blooms are gigantic and in the past I’ve cut them down by this time of the year but this year I’m planning to keep them there through the winter to give a winter interest in front of our house. I always go back and forth whether I want to cut them and use them for flower arrangements inside our house or not so that it looks great outside our house. 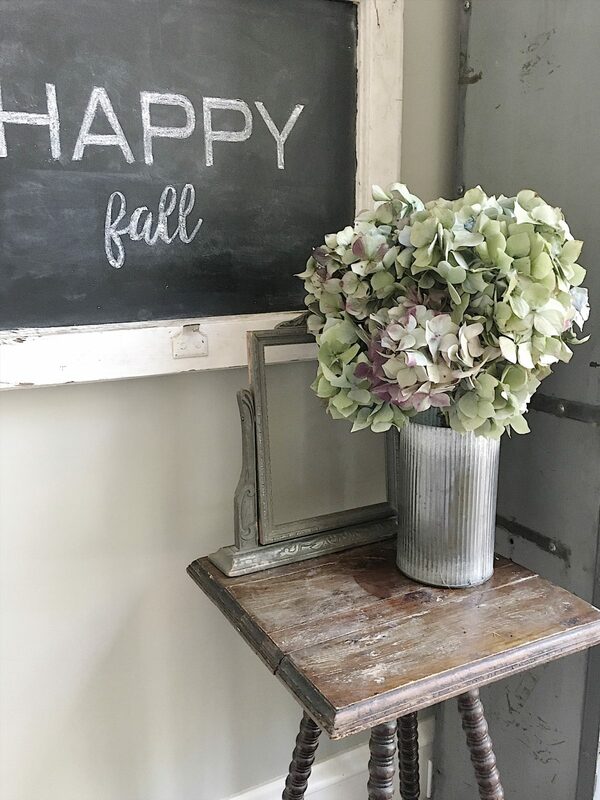 Thanks for the tips in arranging hydrangea flowers! I totally need to purchase from him! 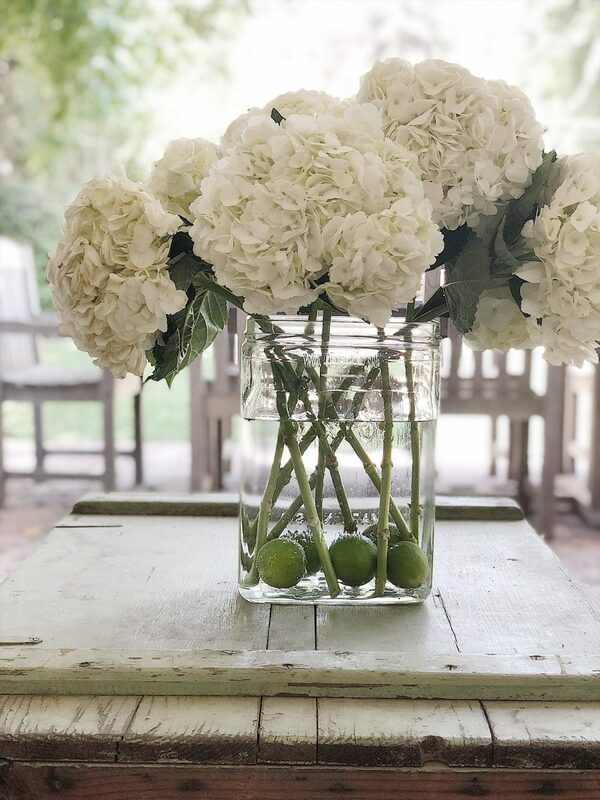 I learned a tip this summer when I was doing flowers for my sister in laws bridal shower that hydrangeas actually take in water from their petals as well, so if you soak the full bloom in water before arranging they last for so much longer!